Before an oil and gas company actually drills into a property, they will prepare a drilling title opinion. This type of opinion identifies any individual who has an interest in the oil, gas or other minerals beneath the land that is being drilled upon. This opinion will identify problems or issues in each owner’s title to make suggestions regarding specific issues and discuss easy to understand solutions to these issues so the oil company can be certain it has the legal right to drill and produce minerals from the pertinent property. Drilling opinions normally contain a review of title records and a recommendation on how to reduce the risk and exposure of a title failure to oil and gas operators prior to the drilling operation. 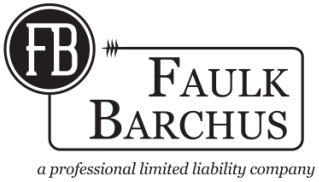 Contact Faulk Barchus today to speak with a well-qualified and experienced oil and gas attorney who will gladly assist you with any questions or concerns regarding these matters.